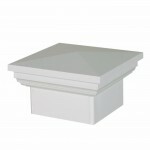 Please view below our huge selection of post caps to enhance your fence and make it stand out from the crowd. 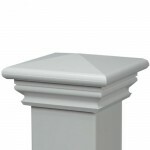 You will receive our standard inside or outside pyramid post caps with all of our fence posts when you order our fence. 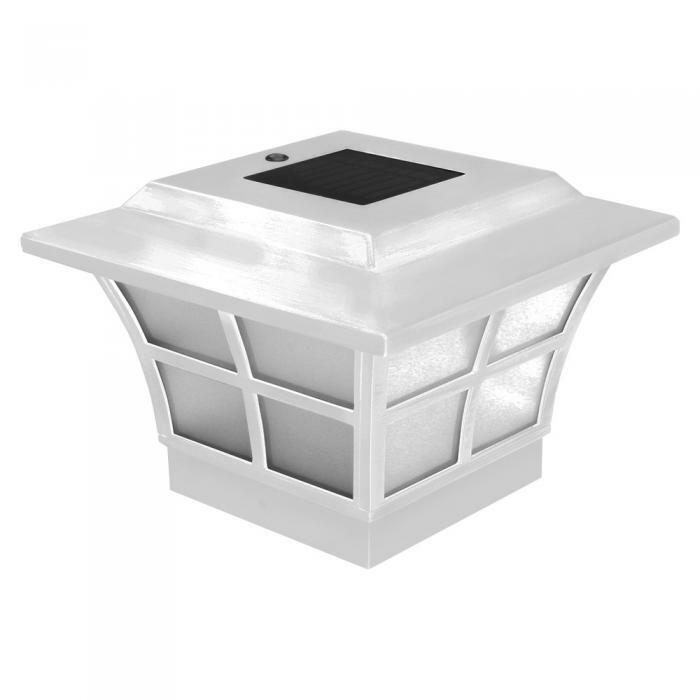 To make your new vinyl fence stand out from the crowd, upgrade to a decorative vinyl post cap, solar post cap, or low voltage post cap at a minimal cost to give your fence a custom look. 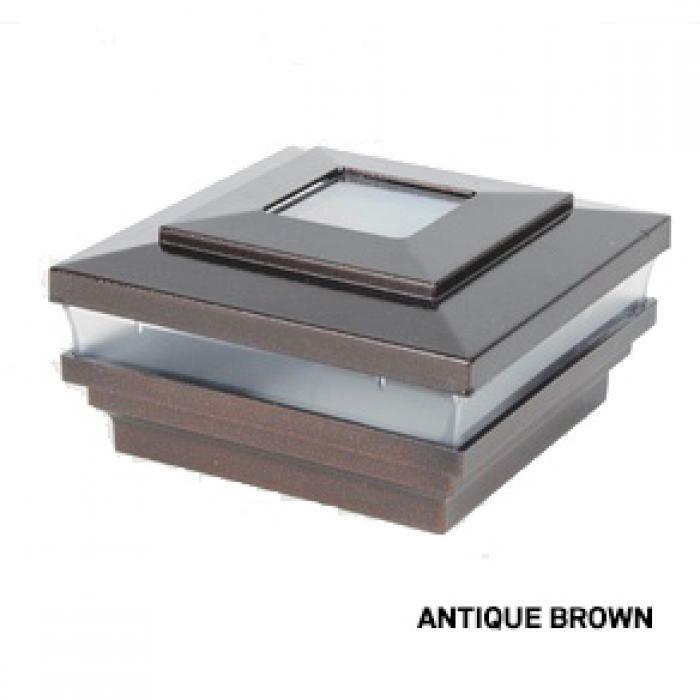 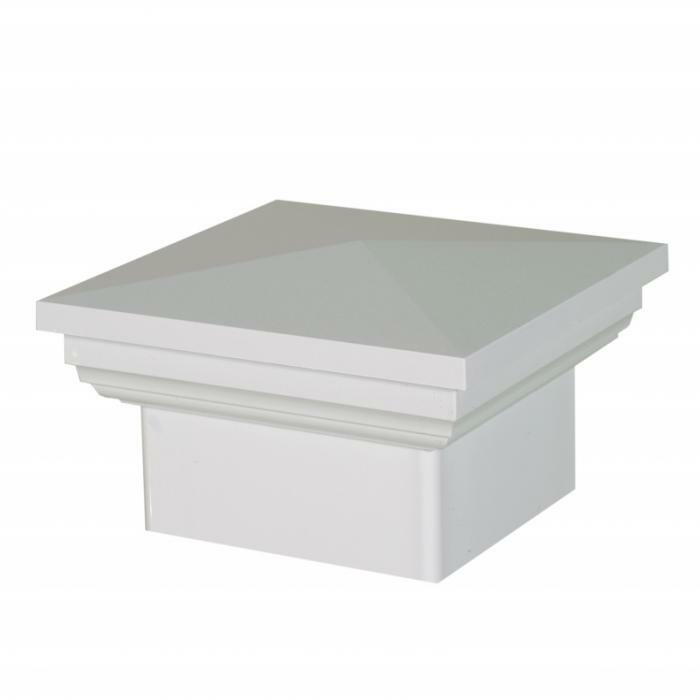 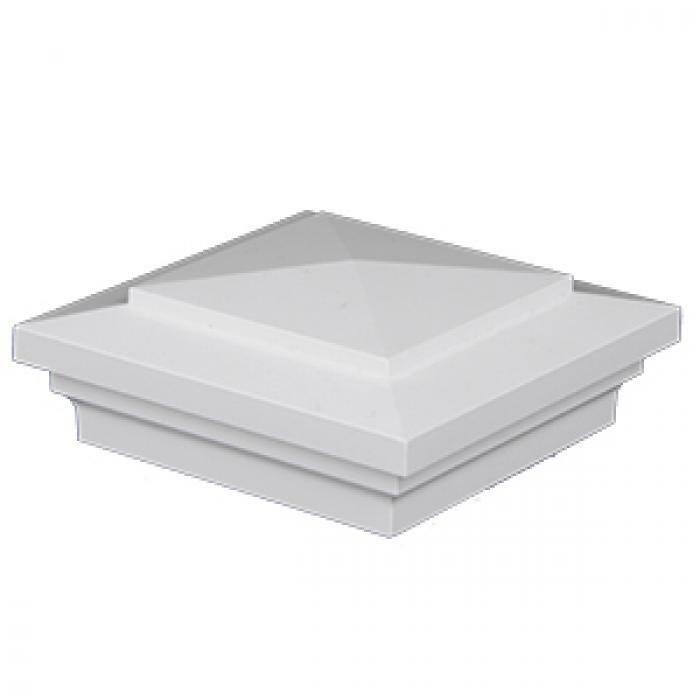 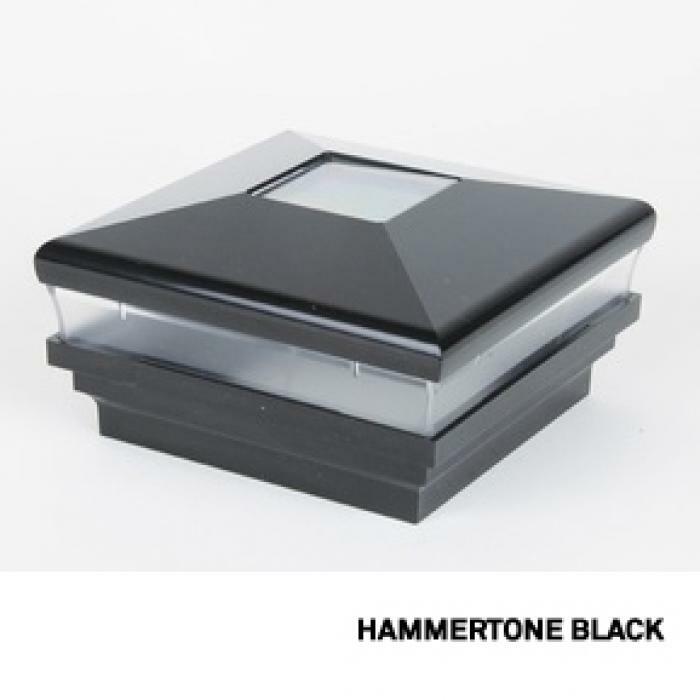 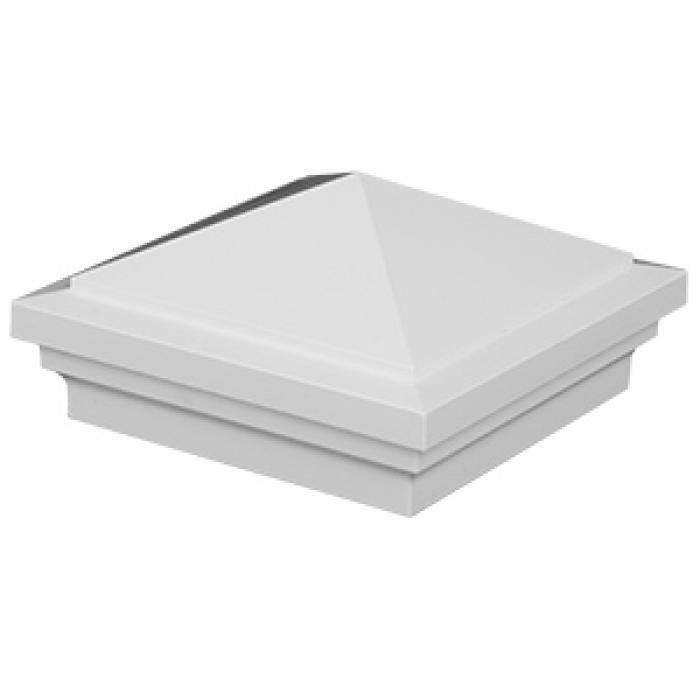 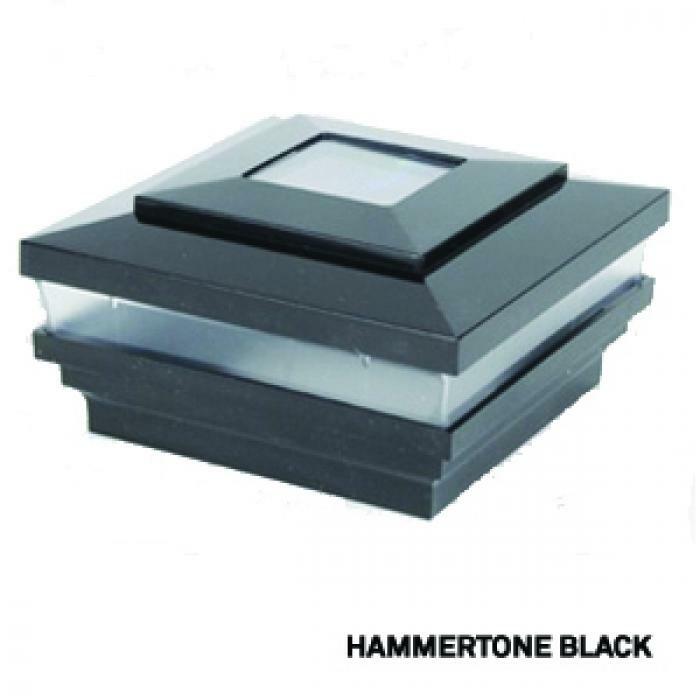 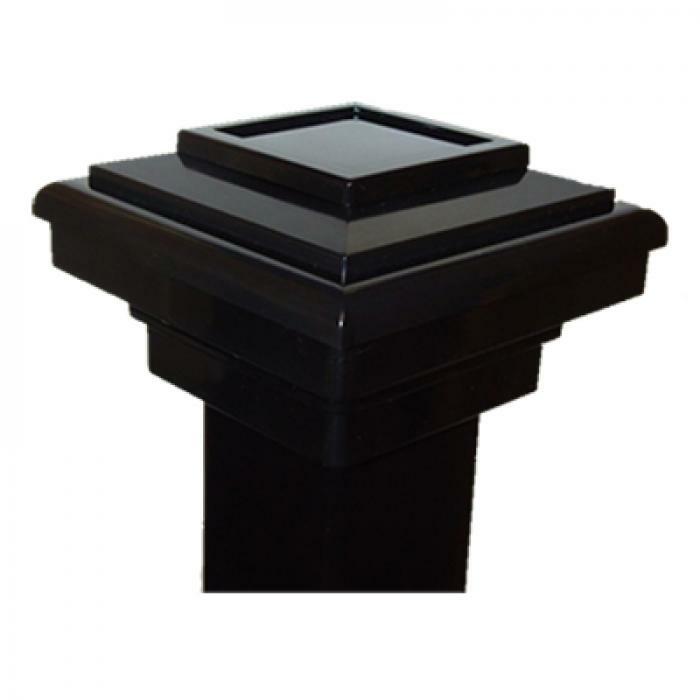 Pricing below reflects the cost to upgrade and switch from our standard inside or outside pyramid post cap which is included with your fence or railing order. 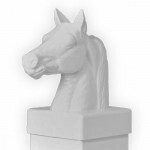 If you are not ordering fence, and only ordering posts caps, the prices below will be higher for post cap only purchases. 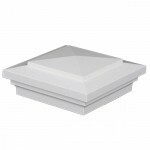 Call us today for a free no obligation quote!. 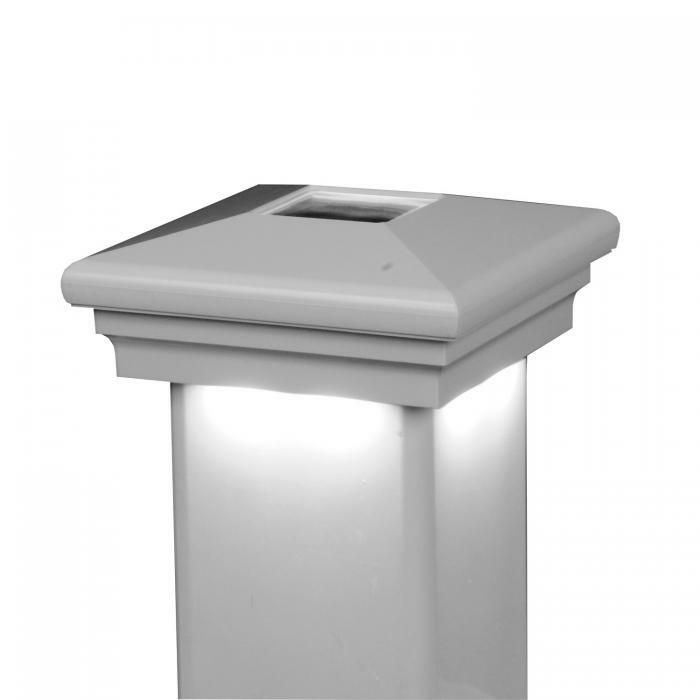 Solar-Powered, LED-Lighted PVC Post Caps: ON SALE NOW! 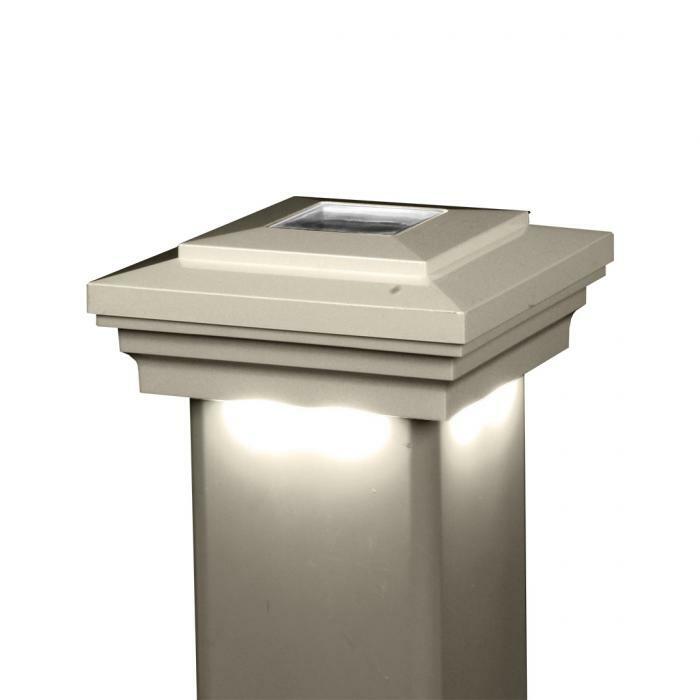 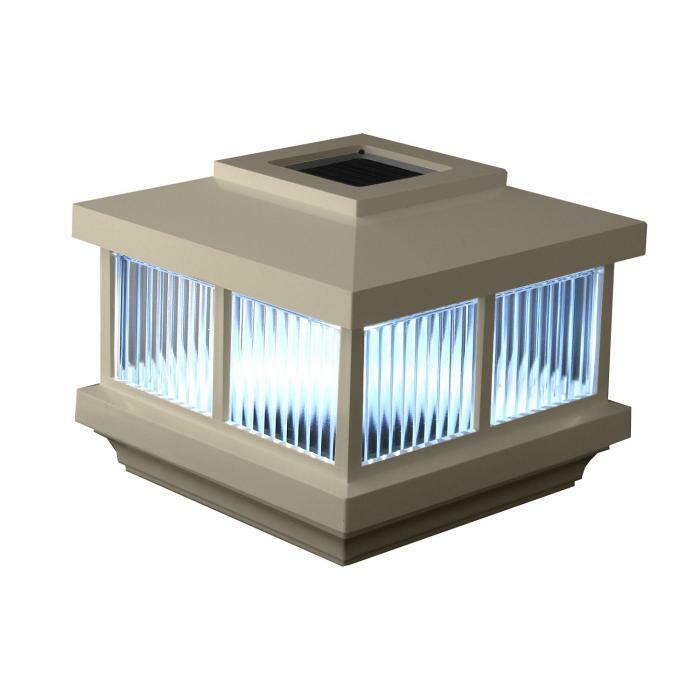 Bring new life to your yard or deck with our selection of solar-powered post caps. Our uniquely-designed solar fence post caps will enhance both the beauty and efficiency of your fence or deck, providing soft accent lighting at night. We use light emitting diodes (LEDs) in our solar post caps that are highly efficient in terms of energy use and endurance, making this option a smart investment. 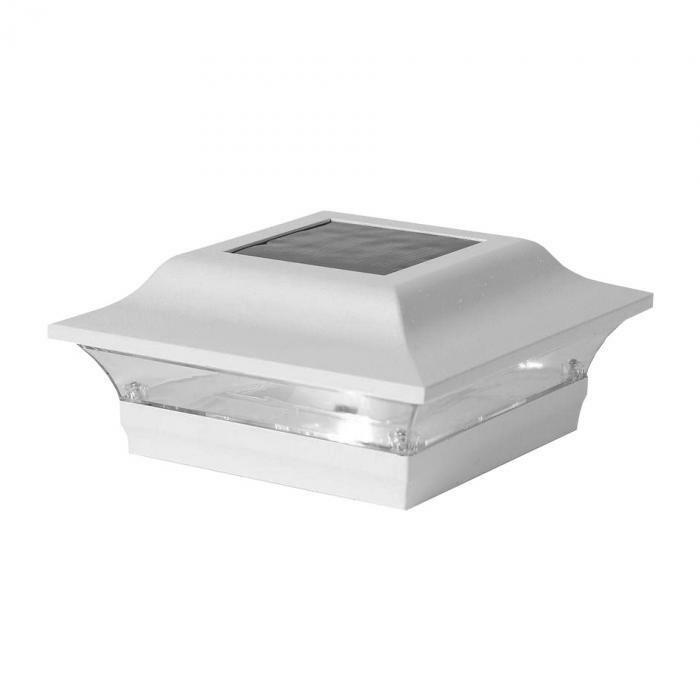 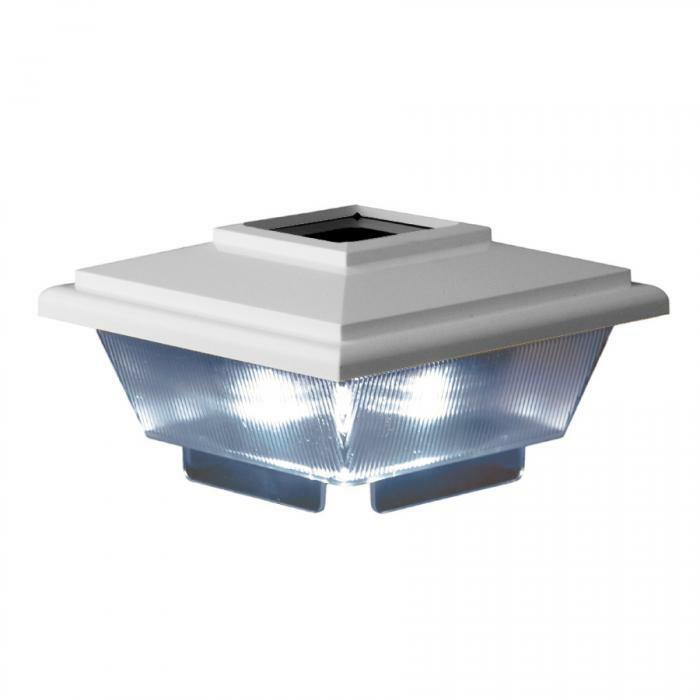 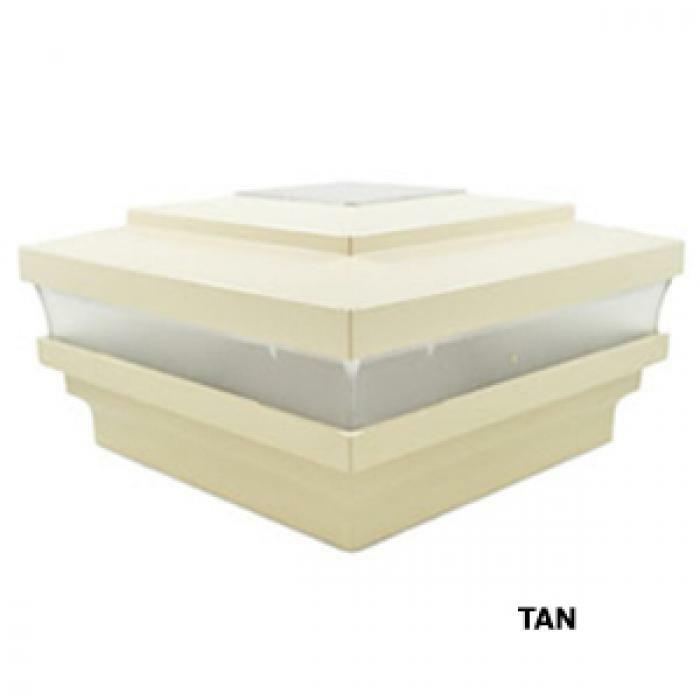 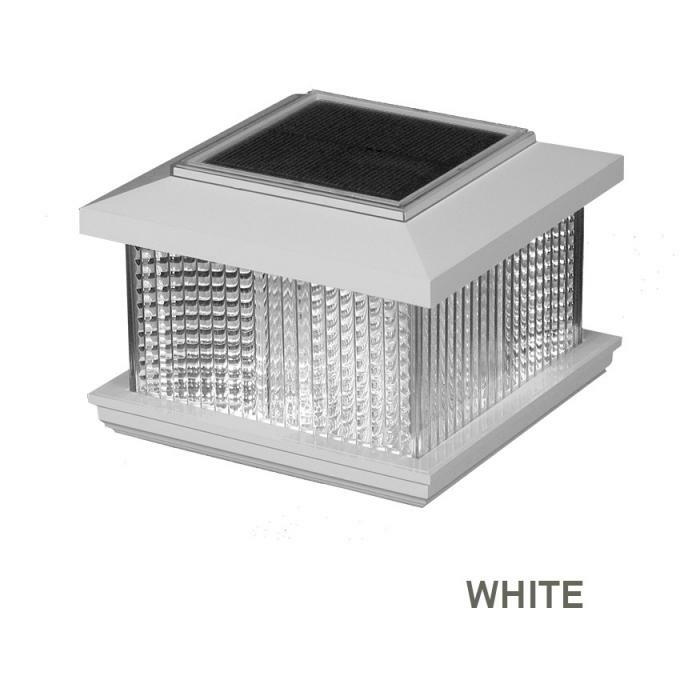 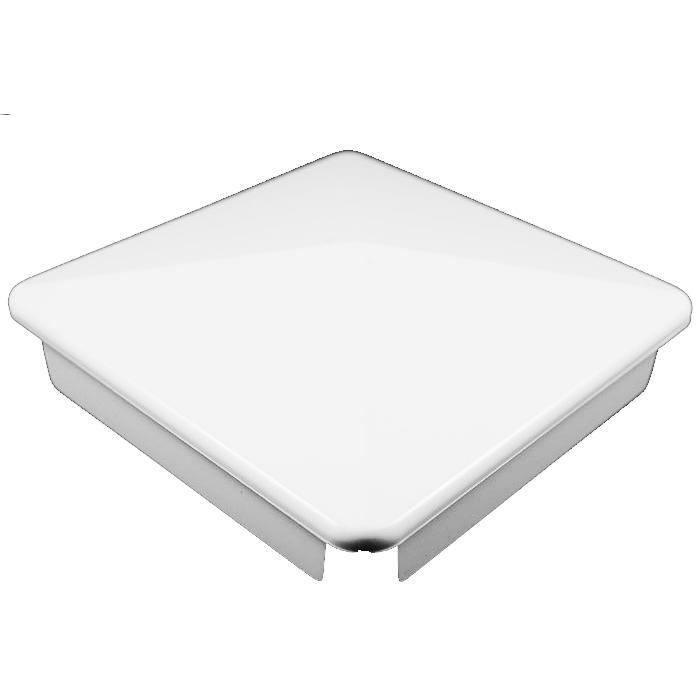 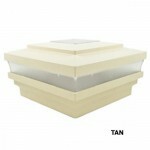 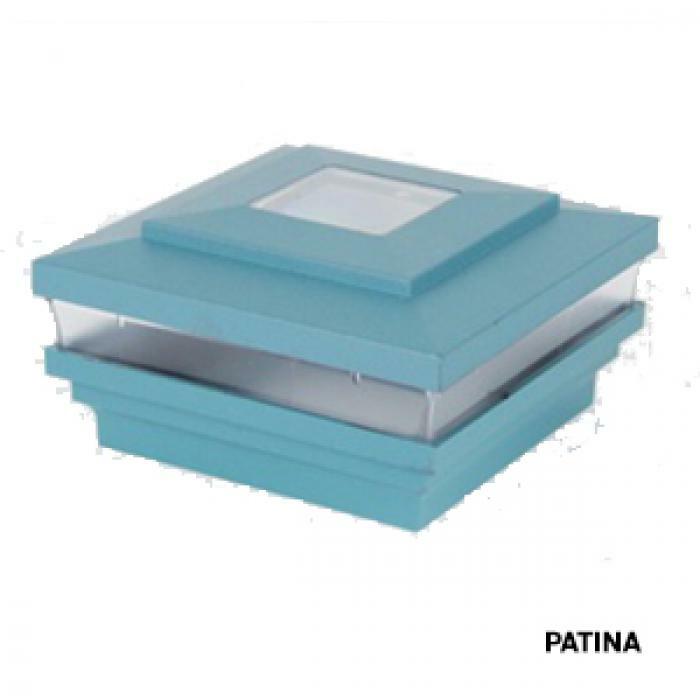 The solar panel on each cap is located on the top, allowing for optimal light absorption. The energy is then stored in Ni-Cad rechargeable batteries and converted into light at night, which lasts as long as the caps are exposed to sunlight during the day. The more sun exposure during the day, the longer the lights will last at night. 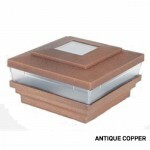 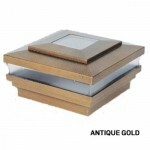 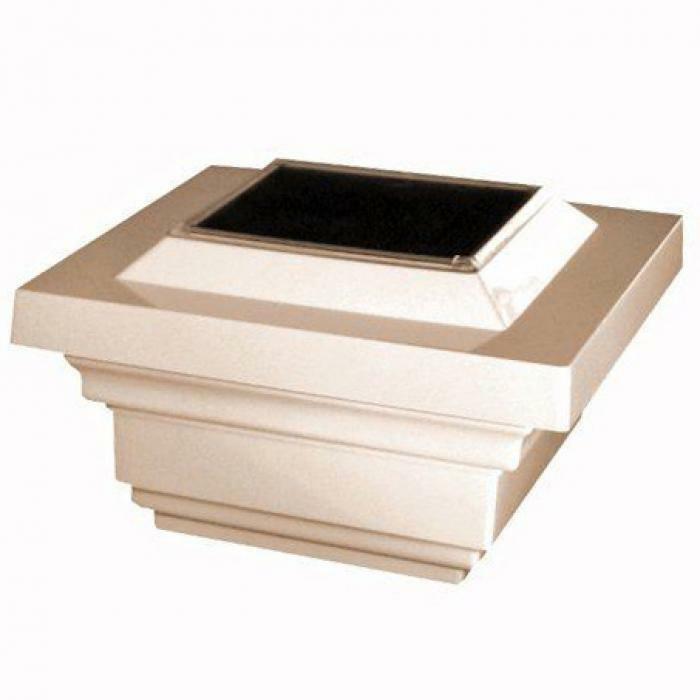 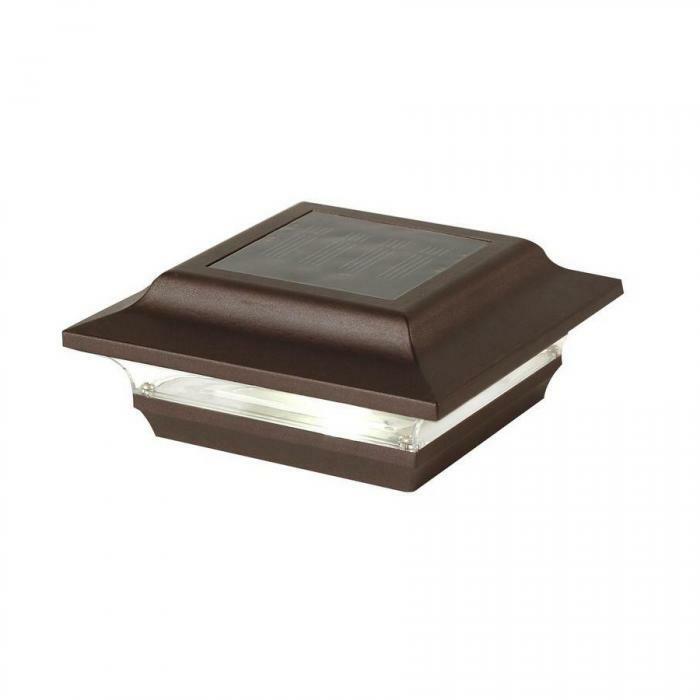 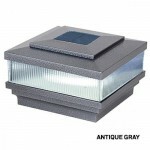 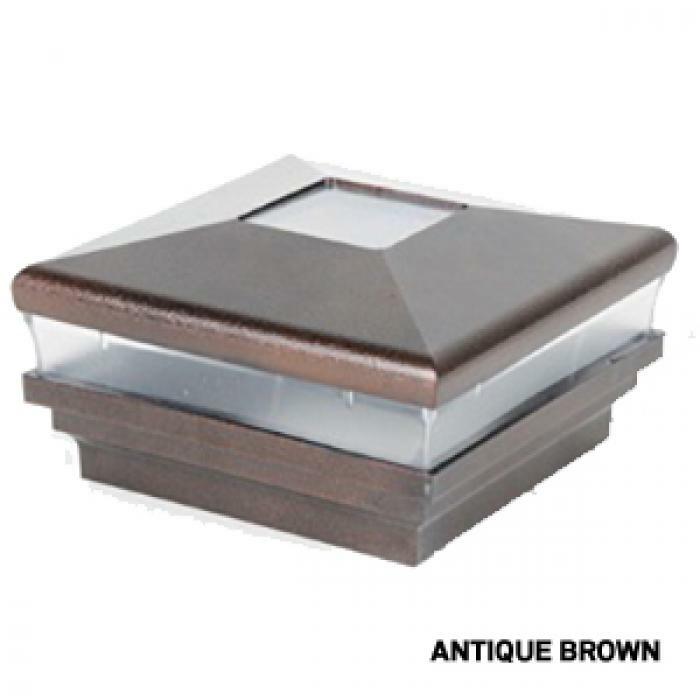 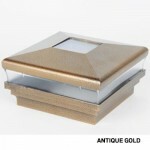 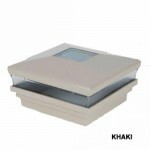 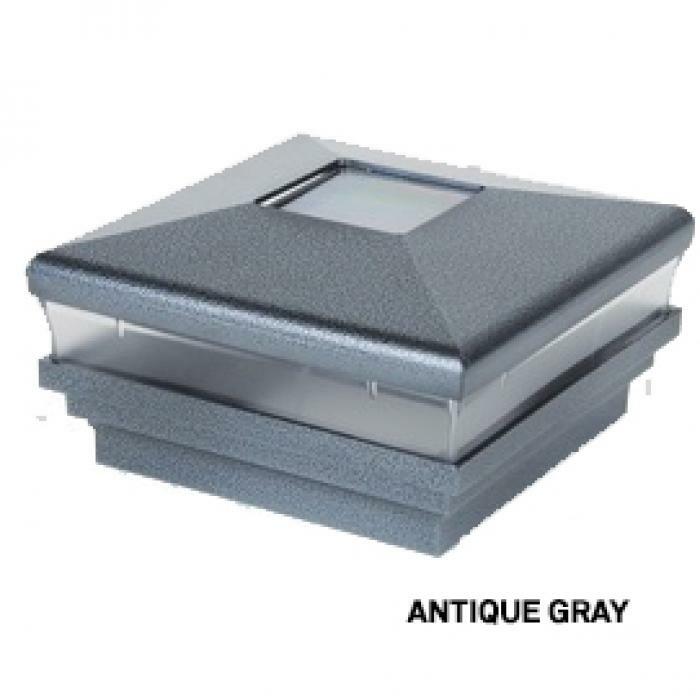 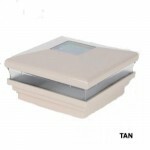 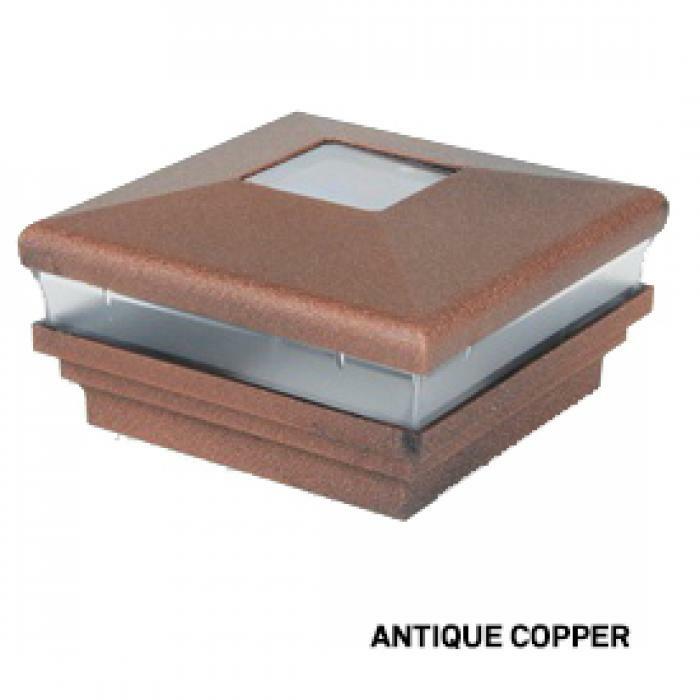 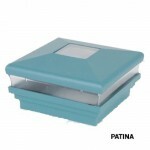 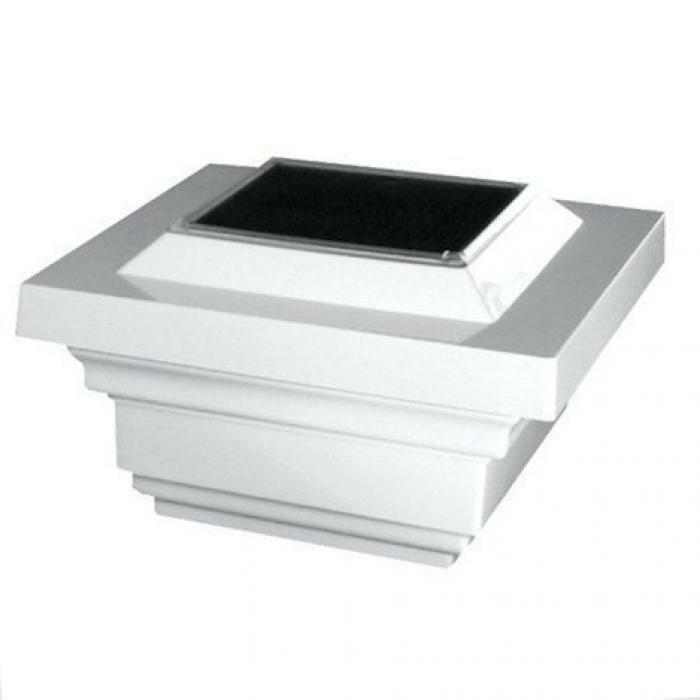 Solar post cap batteries last between 2-4 years and are easily replaced. In addition, our solar post caps are easily mounted to our 5 x 5 or 4 x 4 posts. 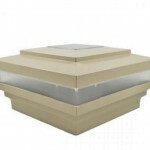 View our selection of solar post caps below. 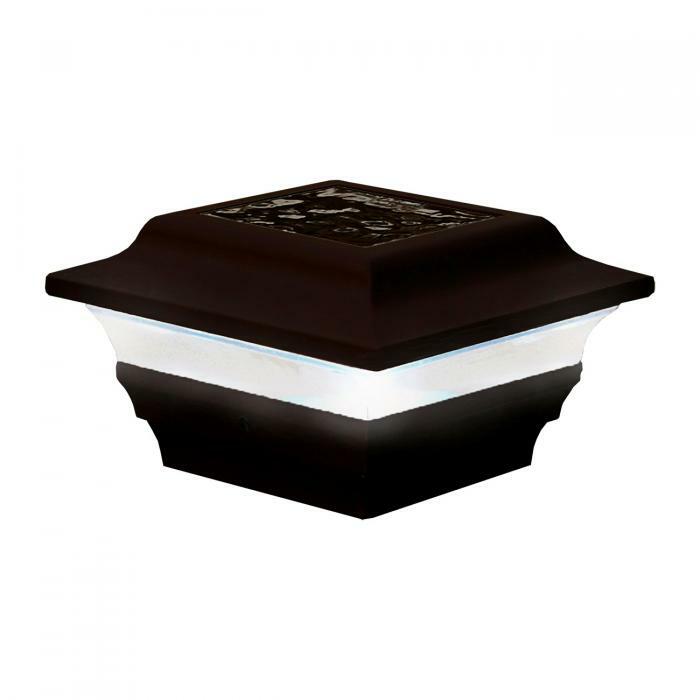 Low Voltage, LED Lighted Vinyl Post Caps: ON SALE NOW! 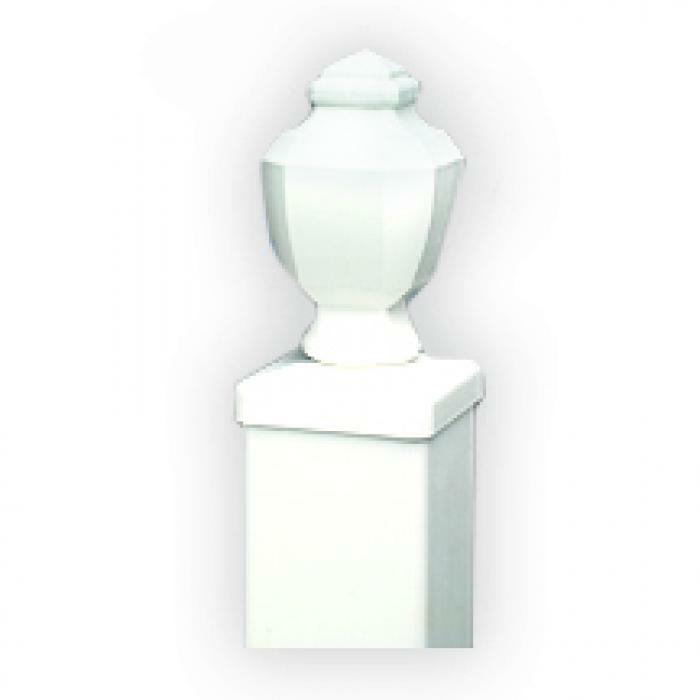 Make your fence stand out with our selection of low voltage-post caps. 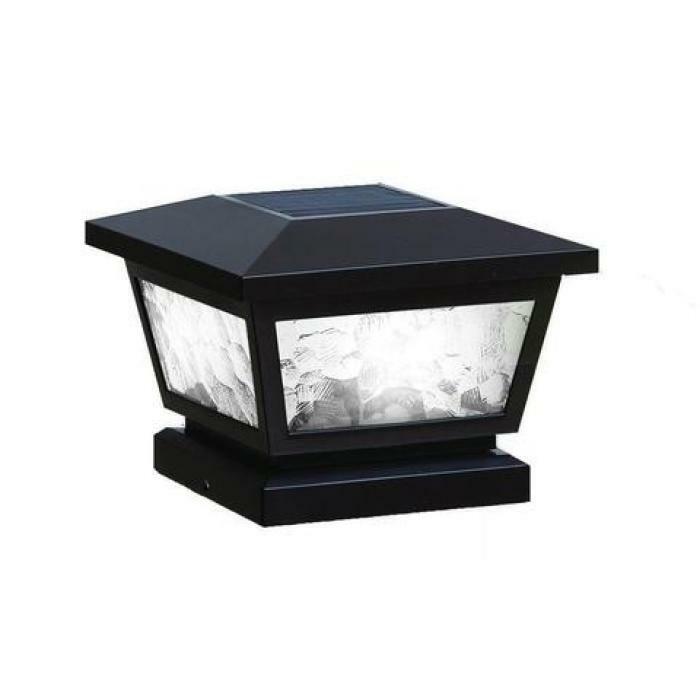 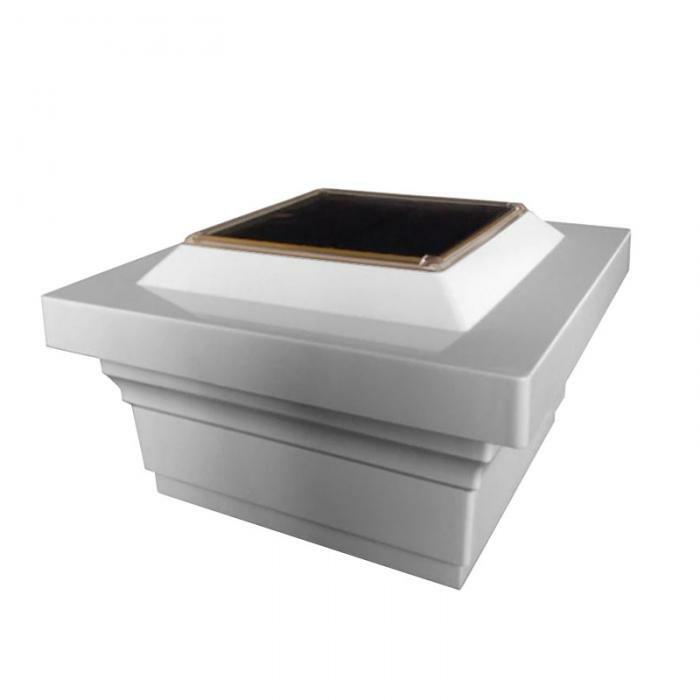 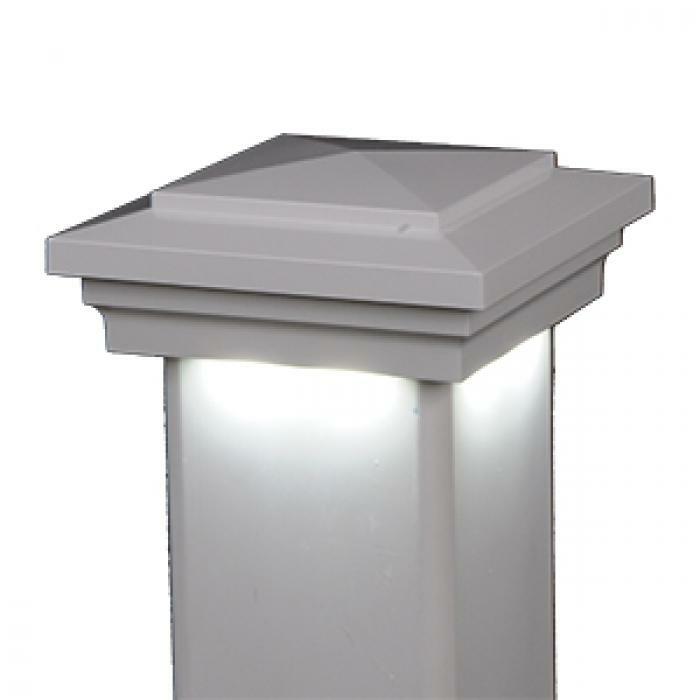 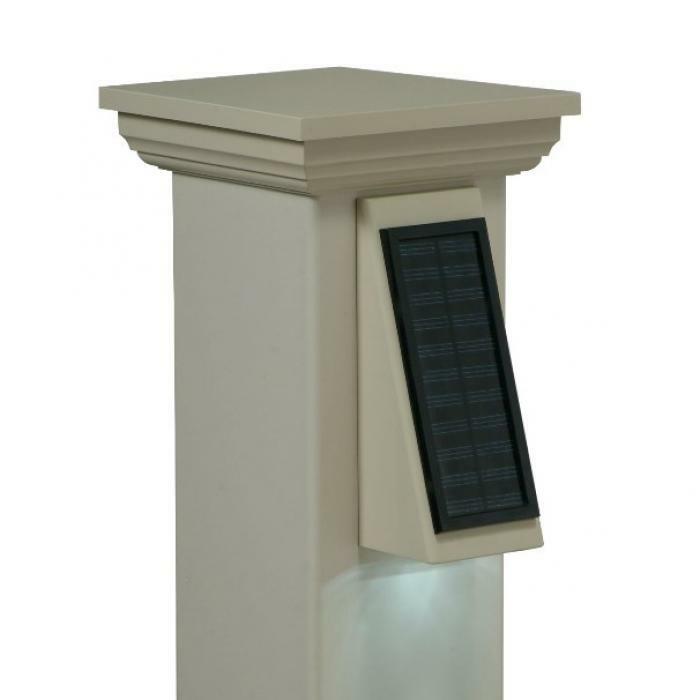 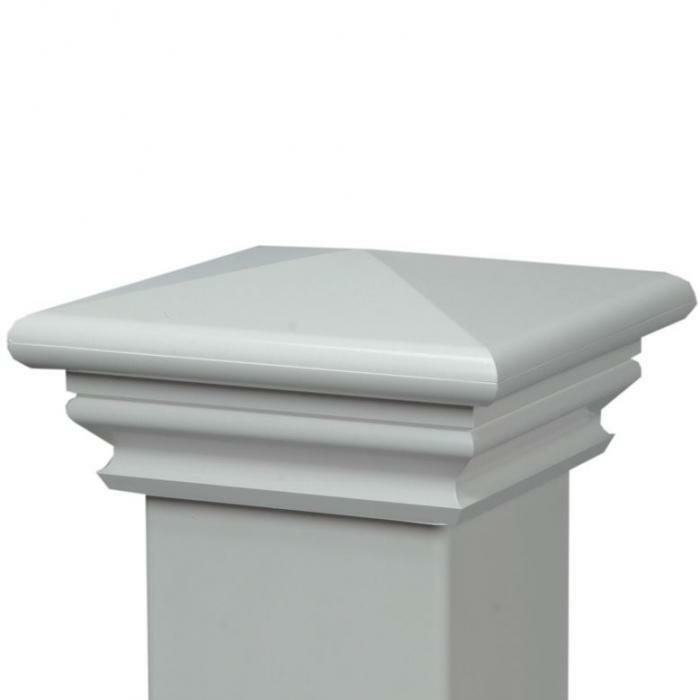 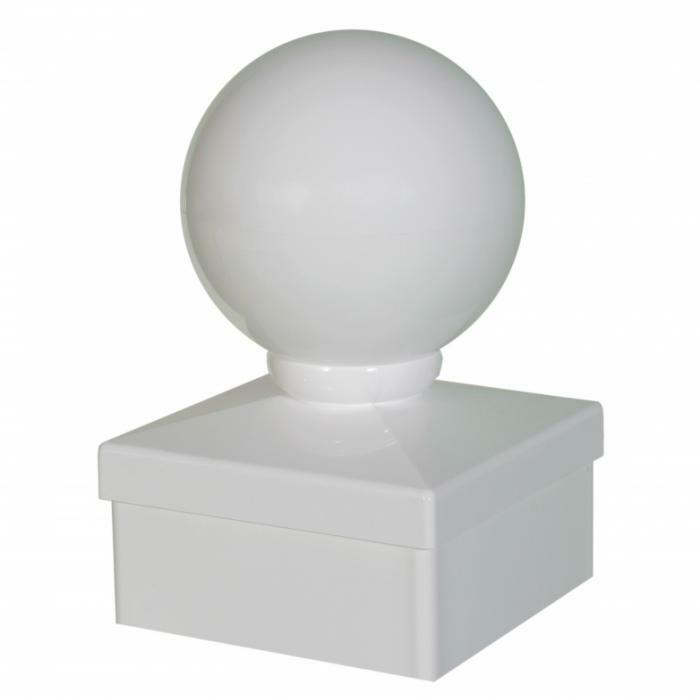 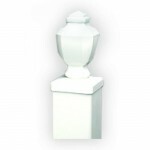 Our low voltage post caps are excellent for adding ambiance, safety, and security within your property. 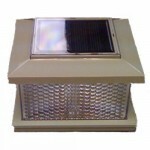 Installation is very safe and incredibly simple. 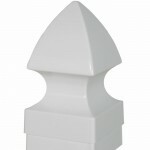 Our low voltage caps fit externally to 5 x 5 or 4 x 4 fence posts. 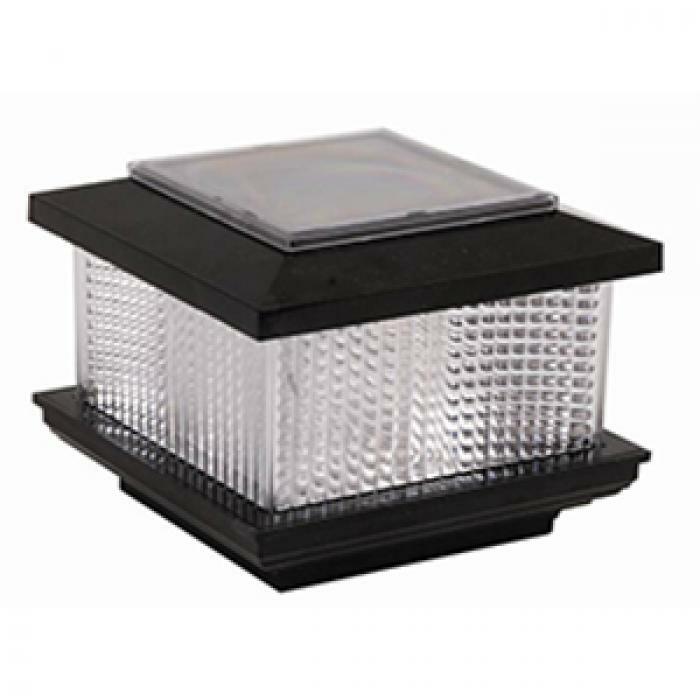 The amount of lights you purchase will determine the size of the transformer you need. 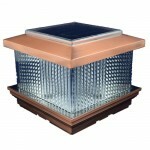 If you purchase 12 caps, for example, multiply 12 by 4-watts/cap to equal 48-watts. This means you will need a transformer that is rated for 48-watts or more. 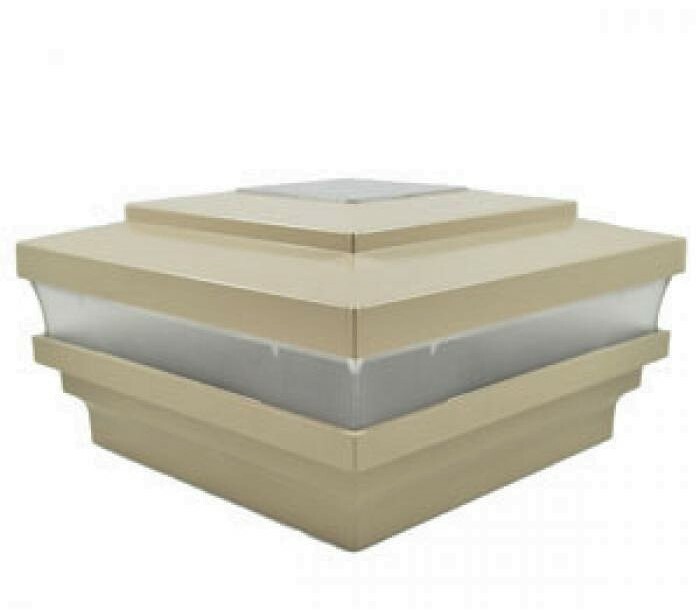 If you have many caps you can simply purchase additional transformers. 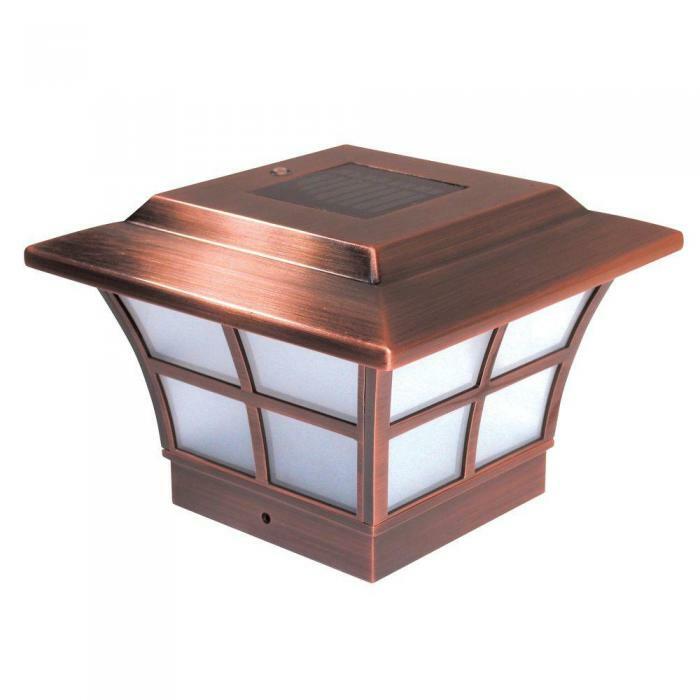 A standard 12-gauge low voltage wire can be run inside of our fence rails, so you will not lose out on the aesthetic quality of your fence or deck. View our selection of low voltage caps below and transformer options below. 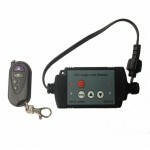 12 Watt Dimmer Switch With Remote: $59.00 each. 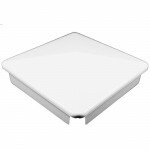 The 12 Watt Dimmer Switch provides various levels of brightness of a light to your low voltage post cap. 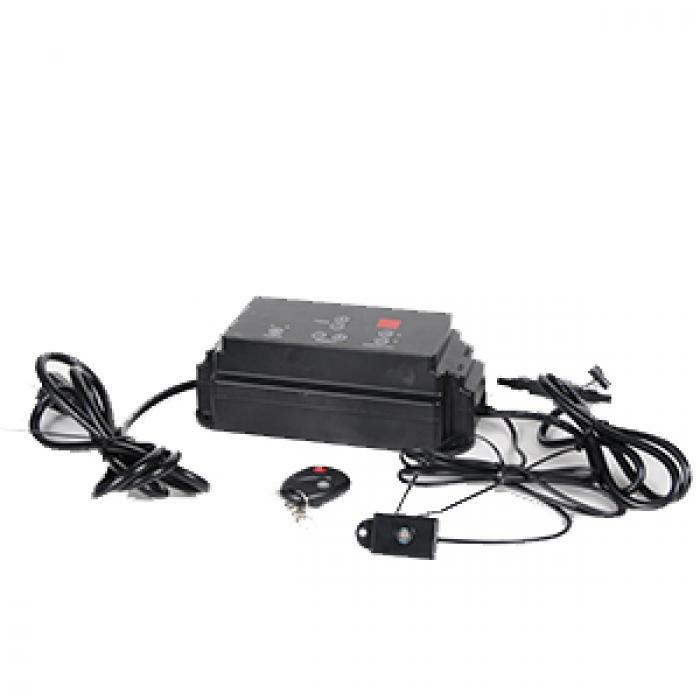 Simply connect the dimmer switch between power supply and post cap. 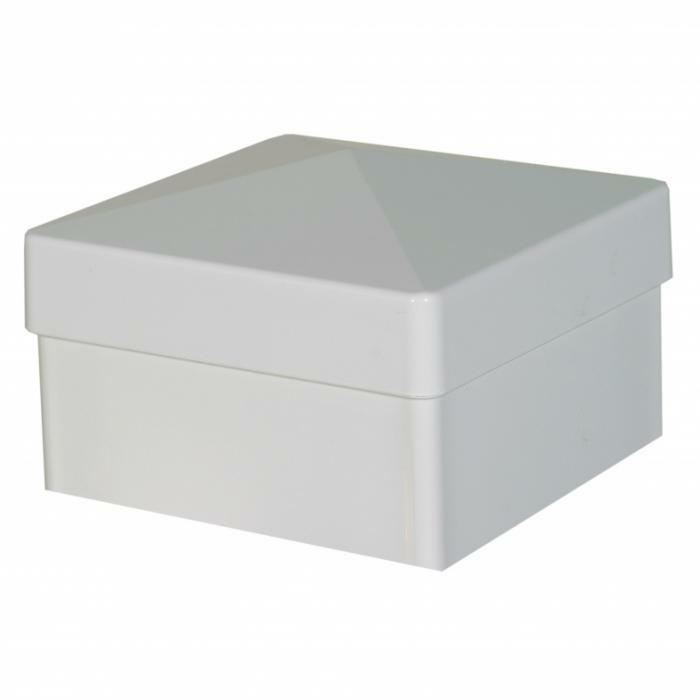 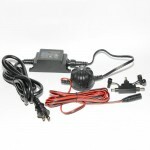 12 Watt Low Voltage Transformer: $59.00 each. 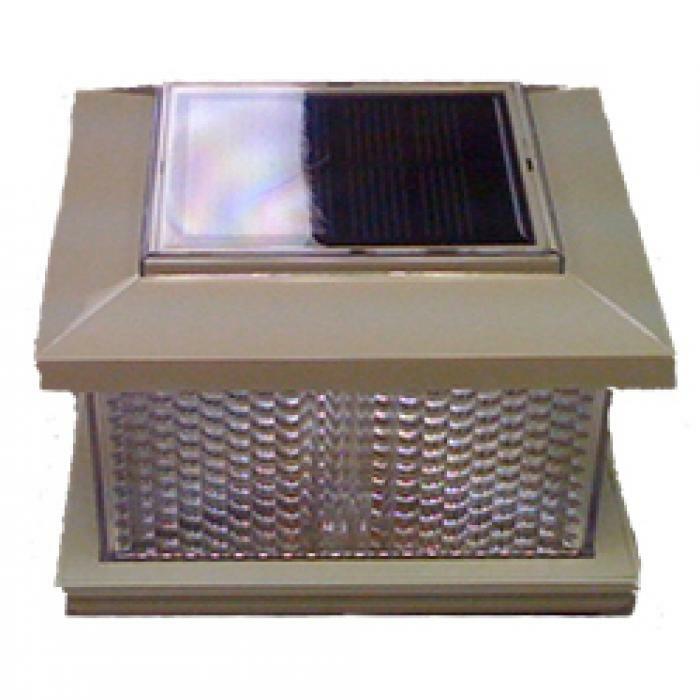 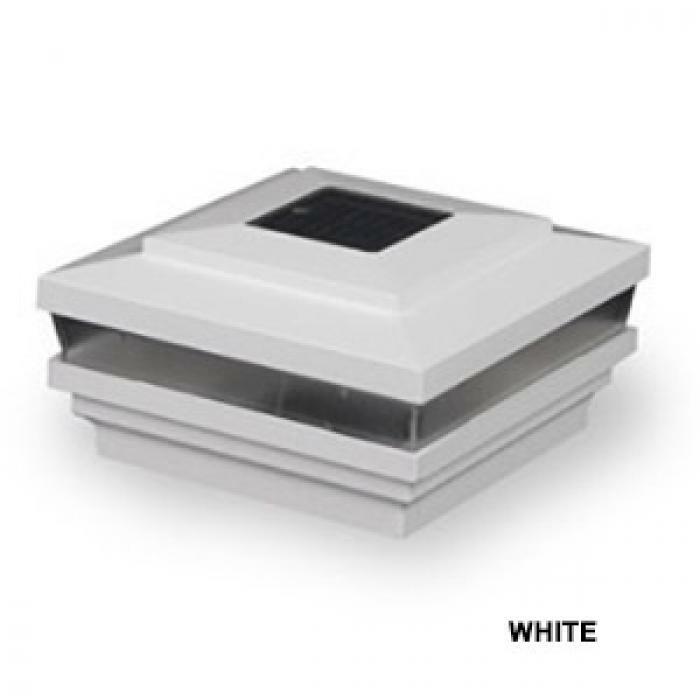 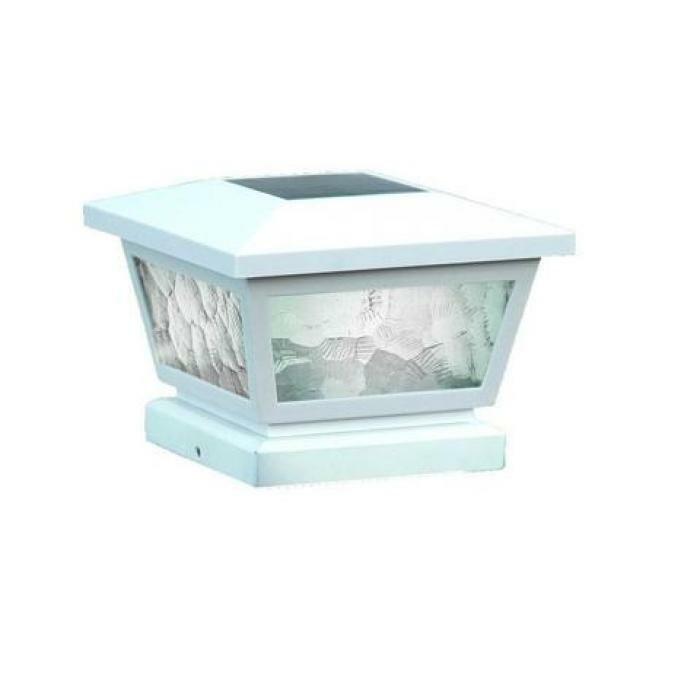 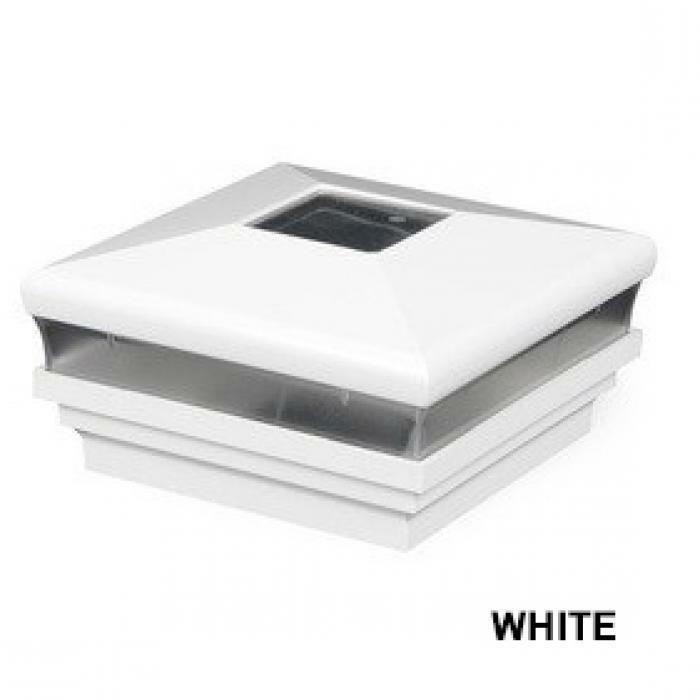 The 12 Watt LED Low Voltage Power Supply is programmed to automatically power on at dusk and turn off at dawn or the timer may be used to set the duration the lights are on. 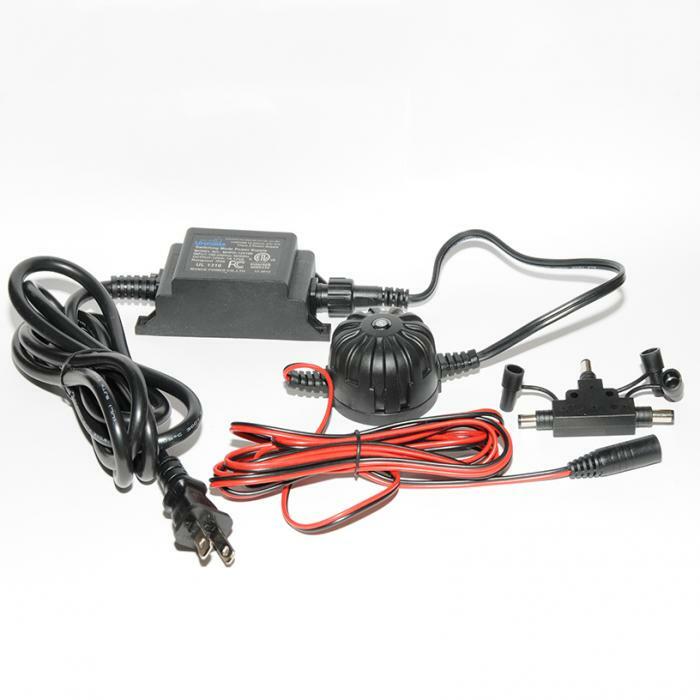 The 12 Watt Transformer powers up to 16 LED plug and play lights. 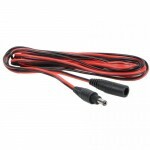 9 Foot long Harness Connector, includes a splitter to connect up to 6 Low Voltage Post caps. $18.00 Each. For longer lengths, multiple harness wire connectors may be connected to each other.